Arden A. Siarot easily blends into a crowd. But this unassuming BS Electrical Engineering graduate from University of San Jose-Recoletos is the dynamo behind the successful Cebu-based Arden Classic Inc. When the competition started to cut prices, ACI went the opposite way, raising prices of its products. But not before it shifted to high-end home furnishings that had fewer competitors in Cebu supporting a more sophisticated and affluent market. ACI’s success is a testament to the creativity and passion of young couple Arden and Jen Elizabeth Siarot, In 1993, the Siarots started producing miniature furniture. Eventually, they became a sub-contractor fabricating intricate brass items with miniature furniture making as fallback in 1995. In 1998, a new factory in Soong II, Lapulapu City, Cebu was built to meet growing demand from foreign buyers. This started ACI’s transition from subcontractor to complete furniture maker and exporter, specializing in handcrafted home furnishings accented with coco inlay, silver, brass or metal accessories. But ACI’s design capability was limited, resulting to rejects and reworks to as high as 10% of production volume. Plated metal accessories made by off-plant electroplaters in many instances cannot meet the required quality, volume, and delivery time. The Siarots considered to establish their own electroplating facility but didn’t have the resources. 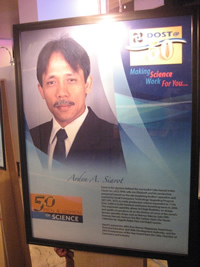 Hope shimmered when Arden Siarot, now 44, invited DOST 7 representatives to visit his factory. A technical team from DOST 7 recommended that Arden’s plated accessories be assessed by an expert from DOST’s Metals Industry Research and Development Center. MIRDC’s technical expert assisted and advised that ACI should establish in-house electroplating facility to control quality. A plan to install the facility was prepared. DOST 7 enrolled ACI to its Small Enterpises Technology Upgrading Program (SET-UP), and electroplating technology acquisition was completed. Siarot and his production personnel were trained on the electroplating facility’s operation. The in-house electroplating facility sharply cut rejects down to 3% or less, resulting to savings of P1.4 million for the company based on 2006 production. Monthly production volume expanded 113% from 3,000 to 6,400 furniture and home furnishing items in 2006. This improved capability allows ACI high flexibility on design and quality. Its products sit on the shelves of some of the world’s famous specialty shops such as Neiman Marcus, Saks Fifth Avenue, Harrods, Vanucci, the Ritz Carlton chain, the Tavola Collection by Oggetti, Ralph Polo and Ralph Lauren. Siarot’s shining business achievement didn’t go unnoticed. He earned the 2002 Pres. 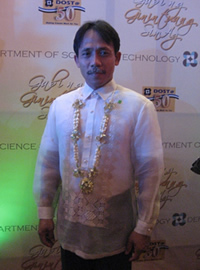 Ramon Magsaysay Award from Technical Education and Skills Development Authority, and the Golden Shell Award for Manufacturing Excellence from Citem-DTI, and in 2003 garnered the Entrepreneur of the Year Award from the Cebu Chamber of Commerce and Industry.